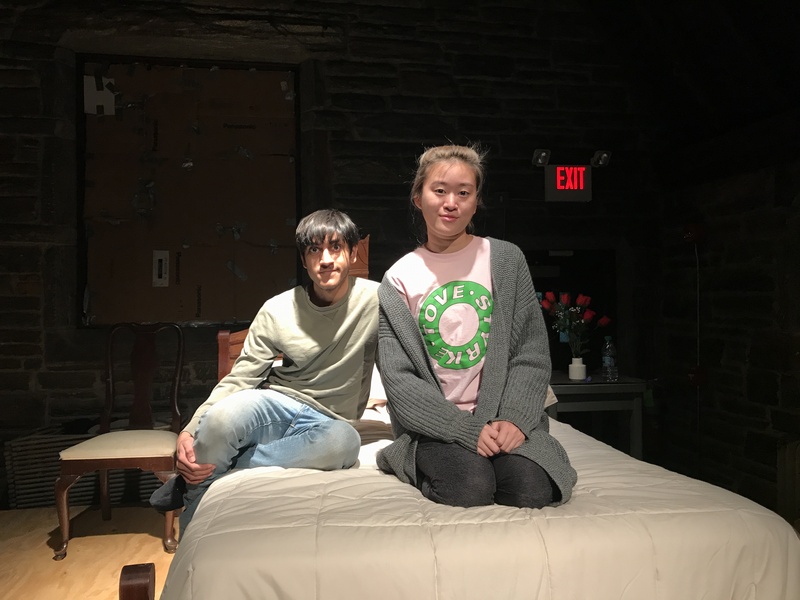 “I don’t think there are many people in the world who have had the benefit of such a friendship with such a person.” This weekend in Olde Club, Cassandra Stone ’20 and Shail Modi ’21 will take the stage as they perform the touchingly intimate two-person play “Love Letters,” the story of the lifelong correspondence between two childhood friends. “Love Letters” (by A.R. Gurney) begins with a birthday party thank-you note and continues throughout the messy and divergent lives of Melissa (Stone) and Andy (Modi), culminating in their mid-60s. The play unfolds exclusively through letters recited by the two actors, yet Stone and Modi still manage to use the tiny stage to the fullest. 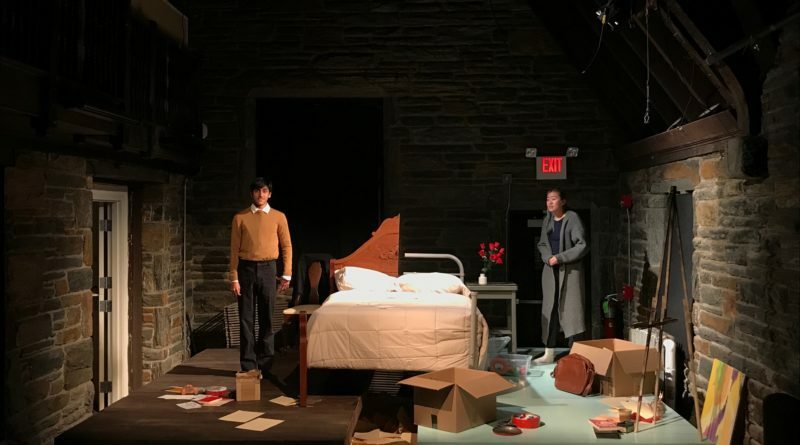 The two never touch and rarely look at each other, the play emphasizing both the physical separation throughout their lives and the love and support that keeps them coming back despite the separation. Neither of the two leads has much prior acting experience at Swarthmore, nor have the two crossed paths before “Love Letters,” but the production staff described their audition together as “electrifying.” The play is directed by sophomore Josie Ross, a prospective theater major who has been involved in theater since high school, both acting and directing. I interviewed her about the play and her experience directing. “Technically,” Ross explained to me, “the playwright calls it an event rather than a production.” Traditionally, the staging of “Love Letters” has consisted of two actors sitting at a table going through their letters in a binder and reading them out loud, but Ross and the production staff have worked hard to inject the spirit of theater and performance into the play. Ross emphasized the collaboration required to make the play possible. For every scene and every beat (the smallest divisions of action and dialogue within a scene), she would come up with as many different interpretations and ways of performing as possible, then work with the crew to see what they could do. The two roles have historically been played by two white actors, but since the two Swatties in this weekend’s production are people of color, they looked at the story from a more contemporary lens than the white, upper-middle class narrative that has traditionally been established. The performance will take place in Olde Club to cater to the tiny cast and intimate feel of the story. The popularity of Olde Club as an event venue was a bonus in Ross’s eyes since it added a sense of familiarity to the set. The set, designed by Yoshi Nomura ’18, is made of two simple raised platforms, each containing the world and lifetime of its character. A bed connects them; two legs rest on either platform, though the design of the bed is split down the middle as well, metal frame on one side and wooden frame with backboard on the other. Scattered love letters cover the floor around their platforms. “One recurring idea that I keep on seeing is how they’re forced to be together,” stated Ross in describing the set. 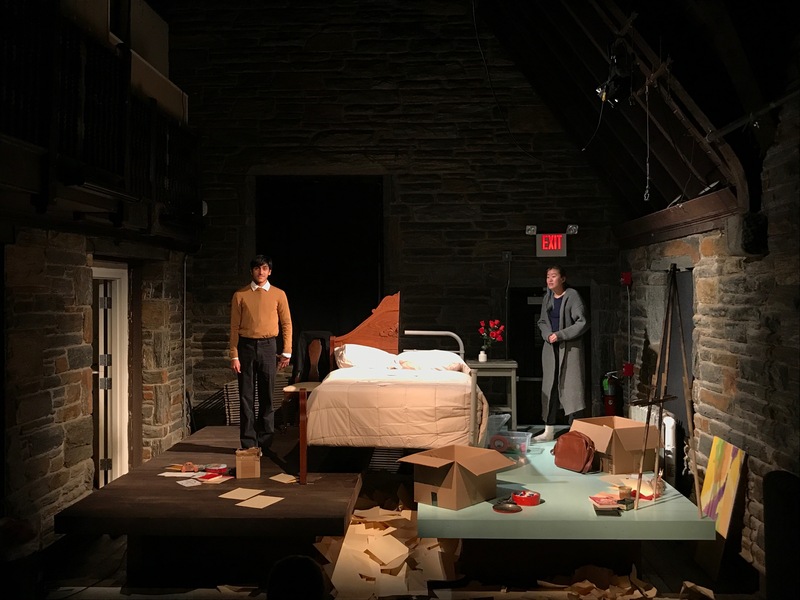 “How these two people through their different … lives are constantly pushed together but are constantly pulled apart, and I think the scenic design really lends itself to that.” At its core, the story is about the deep bonds that form from growing up with someone you love and the way those bonds can create a lifelong relationship that defies the impracticality of physical separation.